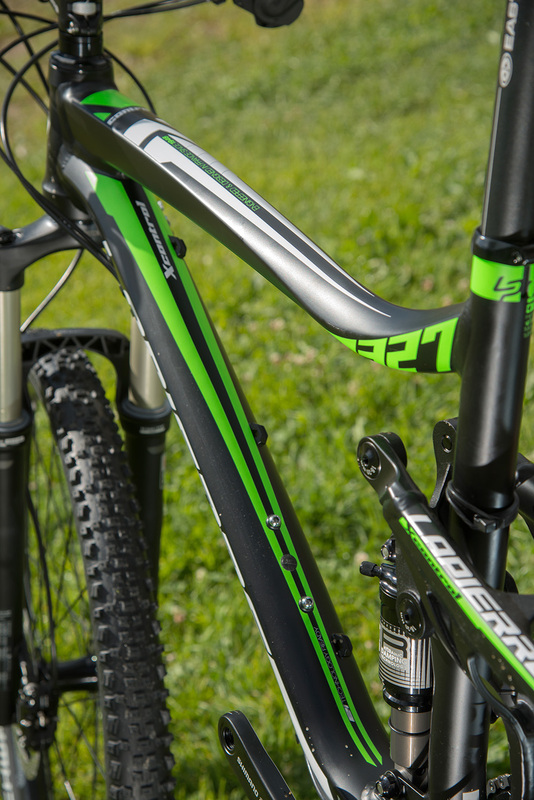 In 2013 Lapierre introduced its e:i Shock technology, a clever little gizmo that automatically locks out the rear shock when you’re pedalling on smooth terrain. For 2015 it’s had some much-needed tweaking to iron out the teething problems we found. 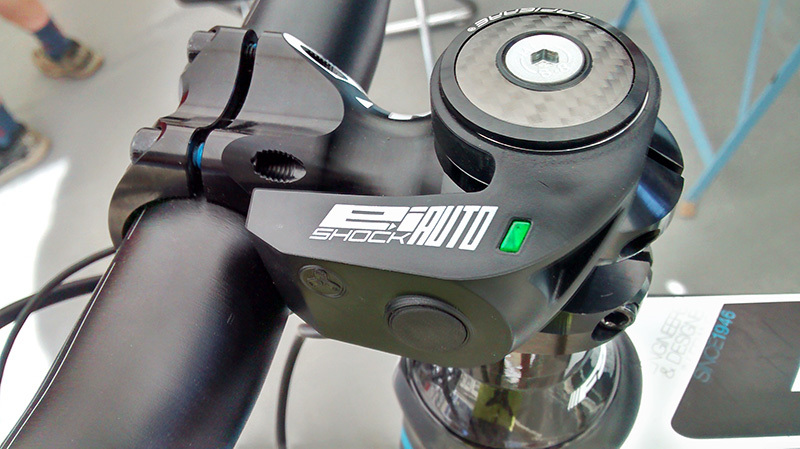 Two accelerometers in the fork and a sensor in the bottom bracket measure impact and pedalling. This information gets fed to a capsule on the shock that electronically locks it out when you pedal on flat stuff, and opens up again when the fork senses any impact. It’s quick, opening and closing in just 0.1seconds. You can over ride it and have it open, closed or semi-active if you want. The big, ugly stem mounted computer display is gone, and good riddance too: It displayed uninteresting information like your e:i mode and battery life. It’s replaced by a little capsule on the side of the stem with a single button to cycles through the modes and a little LED to tell you which setting you’re in. It takes just a couple of minutes to suss it out and delivers a cleaner look with less of an appendage to damage. The old e:i battery monopolised the bottle cage mounts, but now it’s slimmed and shunted left so you can fit a bottle and cage. The capacity has remained the same, 25 hours riding before charging. 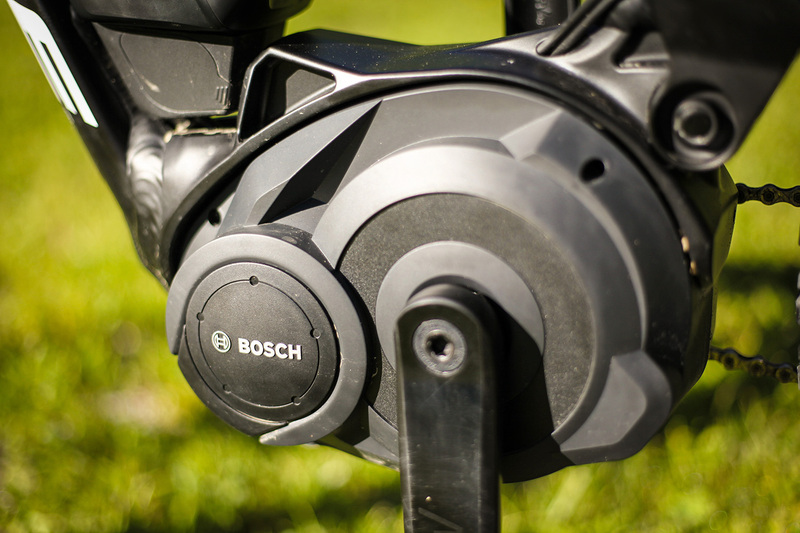 How easily the e:i engages and locks out the shock is determined by its sensitivity setting. The slowest two of five setting have been ditched, so there’s less distraction choosing the mode. The minimum cadence to engage the lockout has been reduced to 35rpm, which is now slow enough for really steep climbs. 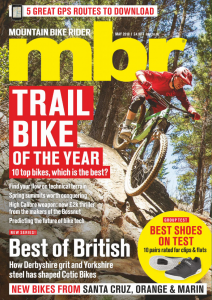 For a full shakedown of the new system read the September issue of mbr magazine. The 160mm Spicy and 150/120mm Zesty keep their geometry and OST+ suspension designs, but the components are all new and change the bikes for the better. For starters, all the models are now available with e:i so you don’t have to be minted to go electric (although we have no prices yet, they’re expected to remain around 2014 prices). You can also get all the models except the Spicy Team without e:i if you prefer. There are dropper posts on all the models except the entry level Zesty. Formula brakes are out, replaced either with SRAM’s new Guide brakes or Shimano brakes on the Shimano drivetrain-equipped bikes. The cockpit is miles better now too, with a short stem as standard — rather than determined by bike size — and a wide bar: the Zesty team comes with a great shaped 750mm carbon bar and 55mm stem. We’ve saved the best till last though, as the Pike fork makes its entry here: the top two Spicy models get a Pike Solo air, while the 150mm travel Zesty AM gets either a Pike, Revelation or Fox 34. The tyres are also much improved, with either Michelin Wild Rock’R tyres or much-improved for 2015 Schwalbe Nobby Nics. How do the bikes ride? 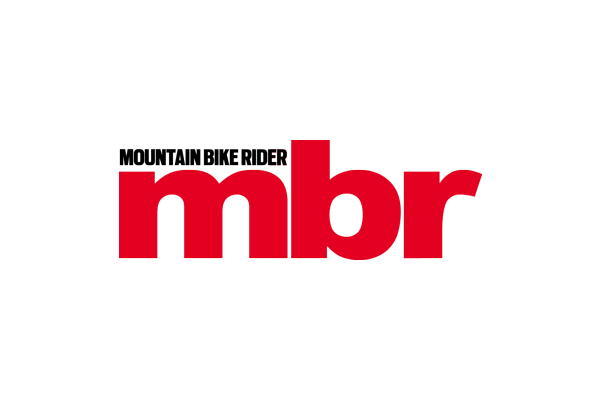 You’ll have to wait for the next issue of mbr to find out. 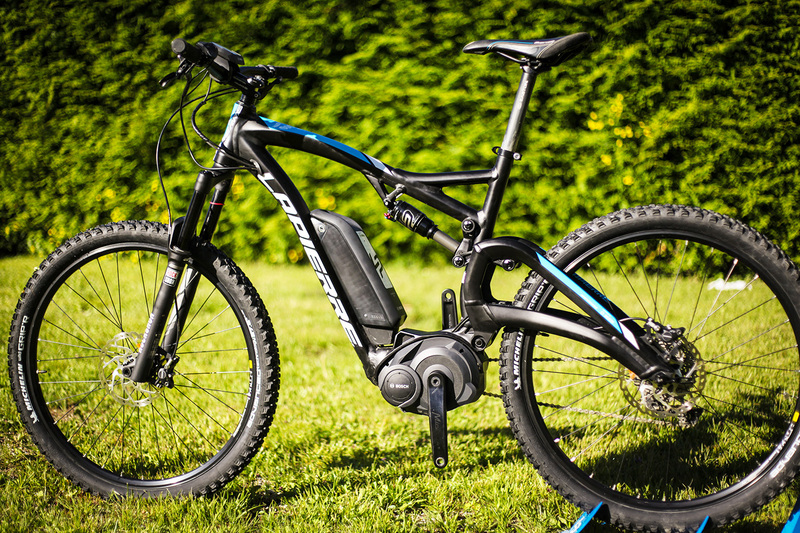 Lapierre is going after electric bikes in a big way – there are now four electric MTBs (two hardtails and two full sussers) and the brand thinks there’s a huge potential market for them. The logo has changed to reflect how seriously they’re taking it too, it’s dropped the gothic-script logo in favour of a cleaner look… although the new bikes we rode had yet to receive the new graphics. The top-end Overvolt FS900 full sus bike comes with with RockShox Revelation fork, 140mm travel front and rear and a mix of Shimano SLX and XT drivetrain. We rode an enduro-style loop in the Alps: a big climb followed by a rolling descent then a steep, long downhill. It’s a ride that usually takes over four hours, but we ticked it off in under two. Climbing, the bike transformed a hellish slog into a 25kph launch. Traversing, it turned a flat trail into a fun piece of singletrack. Descending, it was easy to forget we were riding electric bikes. The final hurrah would have been better on big-travel trail bikes, but we wouldn’t have been there in the first place on anything other than electric bikes. The ‘Ultimate’ bike builder programme has been extended to mountain bikes for 2015, meaning you can build a Zesty trail bike to your exact spec. Choices include frame, groupset (XTR, Di2 or XX1), wheelset (Mavic or SRAM), seatpost & saddle and more. 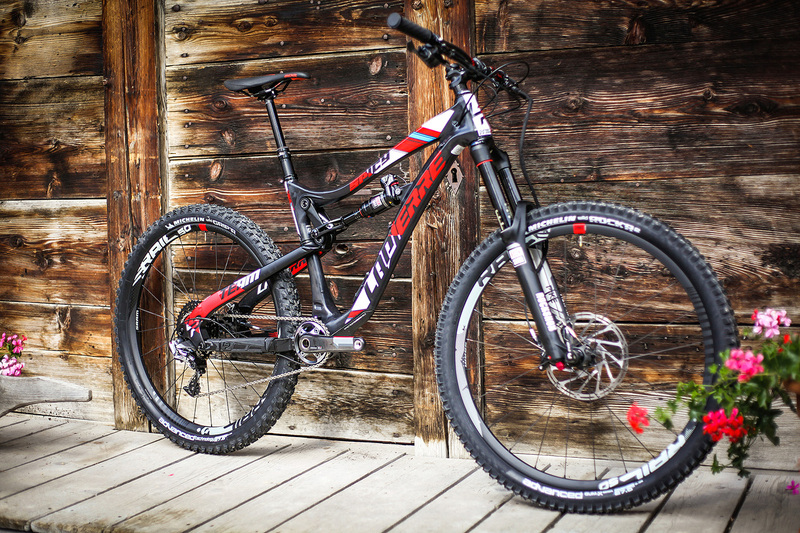 The X-Control has dropped 26in wheels and now 29er wheels, opting for the new 27.5 standard. And all models are now made from the same alloy Lapierre uses on its top end bikes, Supreme 6. The FPS+ suspension design has been tweaked adding more travel and new linkages: it delivers 100mm of travel and is paired with a 120mm fork at the front. The bike looks chunkier and more solid now thanks to bigger tubing. The big change over the old bike is the geometry though, more relaxed, it’s a degree and a half slacker on the head angle over the old bike, now 68degrees. And our reason to loathe Lapierre? The Zesty TR bike has 120mm of travel, 29er wheels and is the obvious successor to the old X Flow short travel trail bike, with its Pendbox suspension design. So far so good. But the sizing is off: at 6ft 1in I should slot into a range at about size large, but I found that too small on the test bike. I’d probably be happier on an XL, but where does that leave taller riders who typically hop on an XL?